There’s been a lot of rowing into the wind to get to this update. Our crew have been very busy getting our ducks in a row and mostly haggling with bureaucrats and red tape, however its actually coming together…yay! Heres a dandy wee map of our intended voyage (Raid) and the daily Itinerary. Interest is building and I now have a large contingent of names on my list, we are working on food now and costs so stand by and another update on these will appear soon. Very pleased to announce that John Welsford has offered to bring along his fine launch as mothership and join in the fun. True to our word we are well underway with another 7 St Ayles Skiffs which will bring the total to 10 at the regatta, racing will be off the beach with a great venue for lunches and post race celebrations, hot showers and accommodation for all. 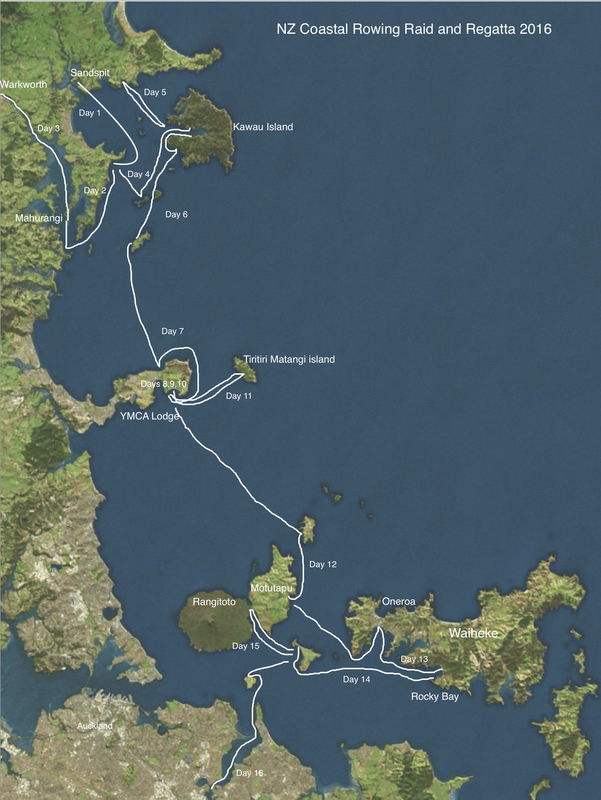 Starting at Sandspit (about an hours drive north of Auckland) the Itinerary is as follows. Draft run sheet for 2016 Raid and Regatta. 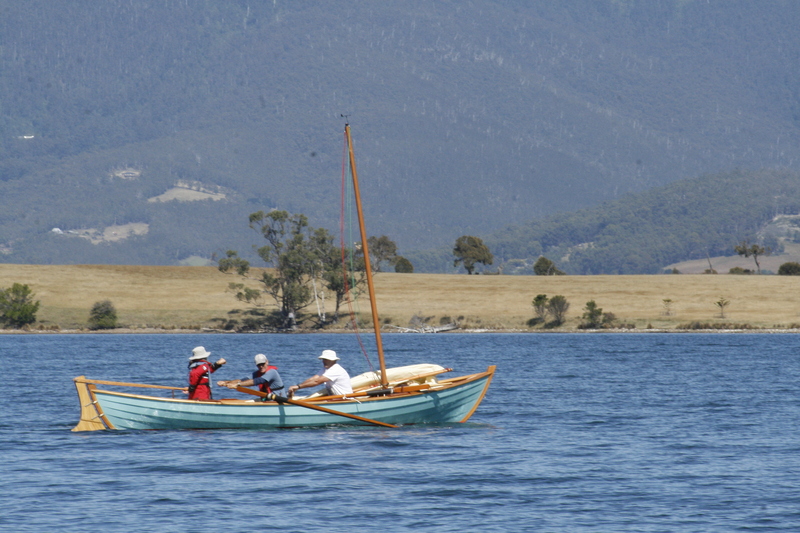 Mahurangi regatta, chance to join in the regatta or races from the beach. Entries on the beach at Sullivan’s. Leave boats at Scott’s Landing for night. Bus back to campground. Depart Rocky bay after packing up camp then walk up Nikau Track, followed by journey to Motuihe Island. Day trip to Rangitoto, walk and return to Motuihe.